"Let's settle this once & for all. @Goldberg is my bro & I have nothing but respect. Everybody trying to stir the s--t can piss off, ya dig?" - Jericho also noted that Drew McIntyre will be on his podcast this Friday and will "break his silence" following his WWE release last week. Or they could get on each other's podcasts to clear the air. I'm still waiting for a funaki podcast. 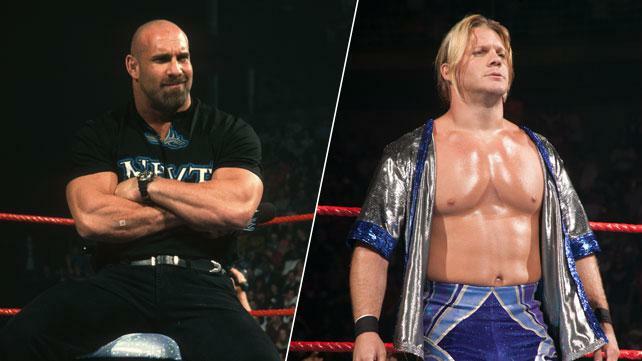 Goldberg and Jericho both have podcasts on podcast one so naturally their past is going to be talked about so people will tune to either or both podcasts if and when they do one together. Location: The Disc Golf Course!! Hmm this will b fun, still mourning his departure. Screw Drew, give me a JTG interview.